During a particularly nasty cold that had kept me home from work, I blearily waded through the content of LoveFilm looking for something to grab my interest. I then stumbled across the Danish TV series The Killing and from episode one I was hooked. 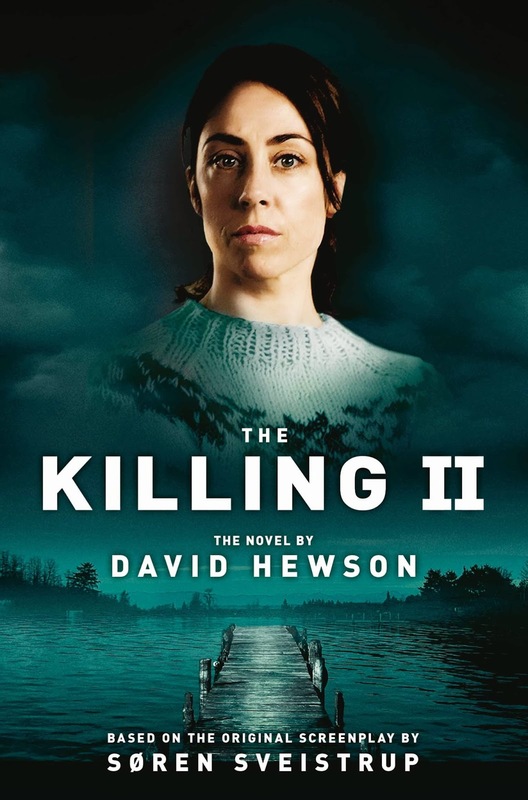 After viewing the series I hunted down the first novel and after devouring that I am happy to say that The Killing II is now available in paperback. Below David Hewson gives us an insight into adapting the incredible Detective Inspector Sarah Lund from the small screen to the paper page. The paperback of The Killing II is out in the UK tomorrow. The hardback of The Killing III appears next February (with a very special launch… stay tuned). So this very unusual project is coming to a close. A lot of the last couple of years has been spent in the company of an odd woman detective from Copenhagen, watching her on screen then trying to adapt a television narrative into the form of a book. It’s been an educational experience, one I wouldn’t have missed. I’ve been very fortunate to be granted the opportunity. And even more lucky that everyone concerned, publishers and the DR2 TV people in Denmark, agreed from the outset that the books would be adaptations, not novelisations or souvenir brochures for the fan base. The success of The Killing novels seems to have sparked something of a rush in turning TV series into novels. Several more screen-to-book adaptations are on the way apparently. I won’t be writing any of them since I’m returning to my own stories now. For readers and any writers thinking of going down this route out there let me try to offer a little insight into what I think works and what doesn’t in this field. The first thing to appreciate is that drama and fiction are as alike and as different as opera and ballet. They both involve the same elements — in the case of narrative work a story, location and characters. But they engage with their audience and readers in very different ways. 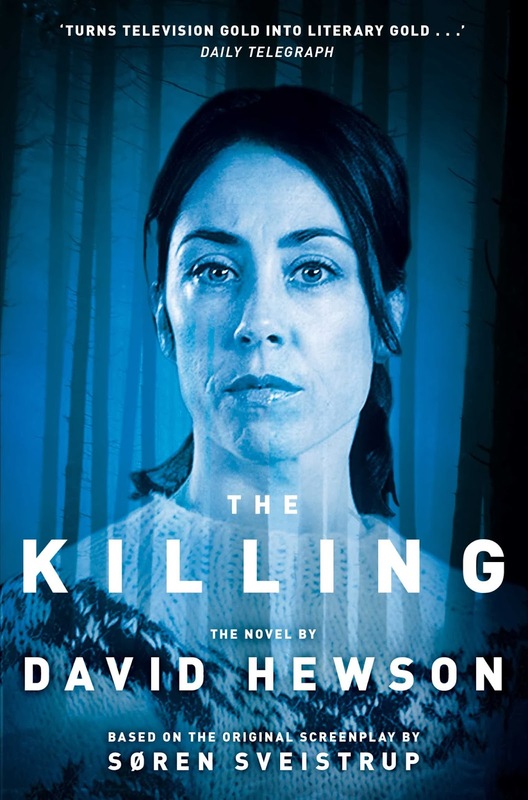 One of the first questions I asked when I was approached to write The Killing books was, ‘Can I change things?’ I didn’t know what I wanted to change. Or how much. But I was sure something was going to have to go through the mangle. In the more customary adaptation path – from book to screen – this happens all the time. It seemed obvious to me that similar reworkings would be needed if you go in the opposite direction? Why is this? Because drama – on TV, in the cinema or on the stage – works in a very different way to fiction. With TV the screen is the boss. An audience is not a reader. It is captive, controlled, mostly passive. An audience rarely winds back a few ‘pages’ to try to understand something better. In a fast-moving episodic drama, there isn’t the time. The narrative happens in front of your eyes and then stops when it chooses to. Quite unlike a book where a reader is the boss – determining how much he or she will read at any one time, flipping ahead and back as they see fit. TV has a limited imagination. What you see is largely what you get. The audience may be on tenterhooks wondering where the story is going next. But the way characters look, how they react to one another, the world that encloses the story, the weather, the mood music… the entire story is defined for you in advance. With a book, it couldn’t be more different. When they work the reader becomes engaged in the ‘production’. It’s a reader’s imagination that populates the cast and the location. That last five percent of reader input completes the narrative in a way that’s impossible with TV. Because of the episodic, controlling nature of the TV narrative, there’s less reason to explain. In a book we crave to know why things happen. On TV it’s often – sometimes too often — deemed sufficient simply to show that they have. For example at the end of both the first Killing series on TV we discover the identity of the murderer. But there’s no great effort to explain a motive – because on the screen that’s of lesser importance. The journey is often more important than the destination. It’s my firm opinion that a novelist follows that route at his peril. To write these books I set about deconstructing the TV narrative and trying to work out ways in which it could be made to work in book form. Sometimes this meant cutting scenes and the occasional individual. It also entailed developing the key characters, giving them interior lives which are impossible to deliver on screen without an artificial device such as a voice-over, and extending the very pithy, basic dialogue of drama into the richer speech we associate with books. So all the dialogue had to be rewritten, locations described without the benefit of a cinematographer and background music, and I had to deliver characterisation without the talents of all the many great actors seen on the screen. With The Killing II I had to add something else too – historical context. This is more than a mere murder mystery. It’s a story about what constant war does to people – soldiers, families and politicians in charge of the armed forces. To make sense of that I needed to introduce a little Danish history in order for readers outside Denmark to understand more of the context behind the story. Change, it seems to me, is key in adapting any project, from book to screen or vice versa. It’s important to remember that what you’re aiming to achieve is a good, intelligent, original story in the target medium. Not an act of homage for the fans. Talking to readers at book events it’s clear to me that perhaps a majority of those who’ve enjoyed the books have never seen the TV – and a good number have gone to the DVDs as a result of finding the novels. Being ‘faithful to the original’ would mean nothing to them – except bafflement at plot turns which work on screen but don’t on the page. When the final book in the series comes out in February I’ll have a little more to say on that subject. With Lund’s last case the changes turn out to be bigger than ever.